Awesome seller! Great prices and included extras! I will certainly be making a future order. Couldn't agree more! I did;t order, picked it up locally, but the plants were still awesome! Thanks! Chiming in...bought RCS from him about two years ago this month. Wonderful packaging, generous quantity and quality, excellent pricing, prompt shipping! Colony still going strong. 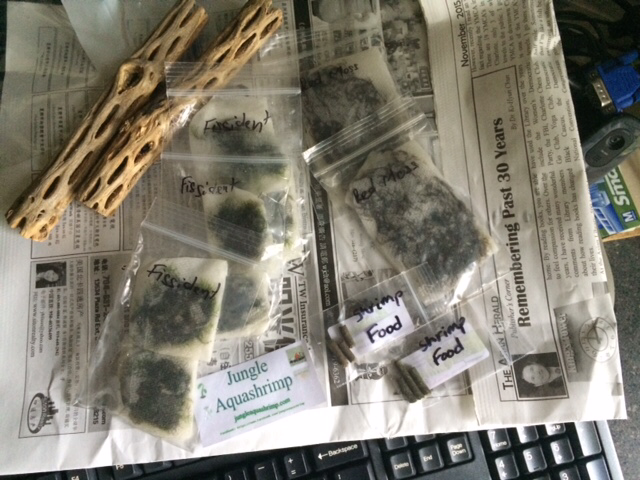 I just received some Anubias, and red root floaters from junglefowl. Some of the nicest plants I've ever received! Plus some freebies!! Fast shipping too! Great! I'm glad the plants arrived safe for you. I just have to tell you I really like the newspaper you used to pack my shipment. For some reason I just really enjoy looking at new papers in other languages. Got a package of moss today! Fissidens fox and Red Moss. Plus some extra goodies. Prompt delivery, friendly service, packaged well...highly recommended. I just received another nice assortment of plants and freebies from Junglefowl. Awesome stuff, great to deal with!! !